Anywhere moisture lurks, mold may not be far behind. Patio furniture, bathroom walls, basement floors—they're all hospitable environments for invading spores. You can fight back the attack with a sturdy scrub brush and a few potent cleaning supplies. Here's how. 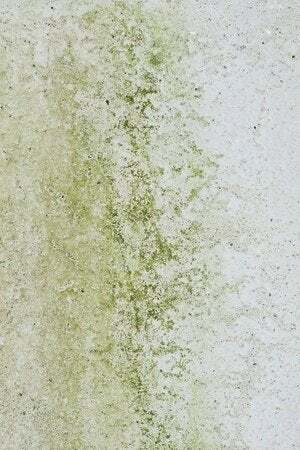 For those who live in a damp climate—or in a poorly ventilated home—mold can be a cause for concern. That’s not only because it’s unsightly, but also because it’s unhealthy (regardless of whether you are allergy-prone). For that reason, it’s important to act fast when you encounter mold, be it on a tiled bathroom wall or on patio-furniture seat cushions. To kill mold (or its fungal cousin, mildew), homeowners have a handful of options. Choose your weapon based on the type of surface on which the mold has been growing. Here’s how you can effectively deal with the most common instances of household mold. 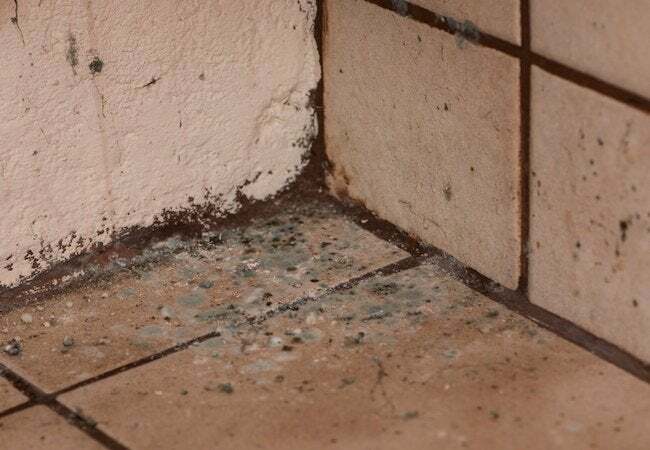 Because it thrives in areas that are damp and humid, mold is most likely to appear in your bathrooms or kitchen. In such cases, a solution of diluted bleach provides the fastest way to kill mold on walls or flooring. Prepare the solution by adding one cup of bleach into a bucket that contains about a gallon of warm water. Then proceed to scrub the mold vigorously with a stiff-bristled brush you’ve dipped in the bleach solution. Do so repeatedly. (In the bathroom specifically, where mold often inhabits the grout lines between tiles, opt for an old toothbrush rather than a larger brush). Remember that whenever you are working with bleach, it’s important to wear the appropriate protective gear and to ensure that the room is sufficiently ventilated before you begin the job. Before you give up on any fabric that has fallen victim to mold growth, try the following procedure, which may allow you to salvage the item after all. First, take the moldy item outdoors so that its mold spores cannot spread throughout your home. Next, use a stiff-bristled brush to clear away as much mold as you possibly can. Now pretreat the item with either bleach (white fabrics only) or a store-bought stain remover designated for use on the type of material in question. Finally, wash the fabric in hot water. When you take the item out of the wash, check it carefully for signs of lingering mold. More than one round of pretreating and washing may be necessary. If you’re one of the many who prefer to avoid exposure to harsh chemicals like bleach, note that plain white vinegar can be a decent substitute. For best results, combine the vinegar with baking soda and water to create a briskly foaming liquid, which you can then use to scrub the moldy wall or tiled area with a stiff-bristled brush. Preventing mold in the home is essentially a matter of minimizing dampness and maximizing air circulation. Start by installing quality vent fans both in the bathrooms and above the range in your kitchen. Once they’re installed, don’t forget to actually turn these on when you’re showering or cooking, and be sure to keep them on for about 10 minutes after you’ve finished bathing or cooking.